The Arctic Ocean, although the smallest and shallowest of the world's five major oceans, is made up of thousands of organisms, approximately 1,700 of those species being Arctic plants. But with a regular temperature reaching near freezing and limited sunlight, only certain plants and animals can survive in the Arctic Ocean. 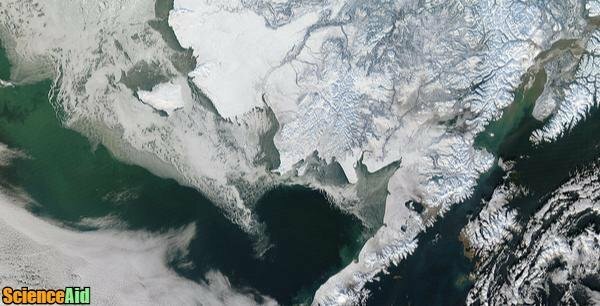 The Arctic Ocean is one ecosystem that ecologists have had trouble collecting mass amounts of research on. 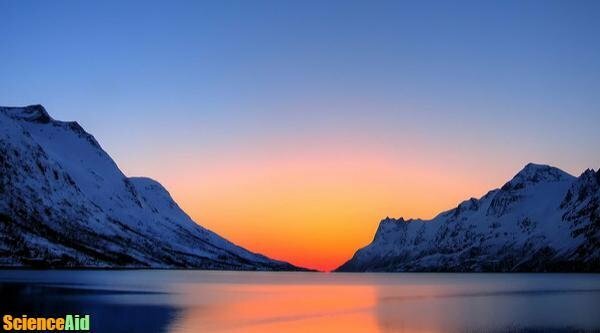 Scientists have been able to effectively determine that around the third week of December, the outer region of the Arctic Circle receives only two and a half hours of sunlight, and once January comes around about six hours. For three months, starting towards the end of October, the mid-Arctic receive no sun at all. And the North Pole receives no sun for a total of six months, effective the end of September. These conditions can make it very difficult for organisms, specifically plants, to survive, as they rely on photosynthesis. But those said plants, organisms that people can't see with the naked eye, are the organisms that keep this marine ecosystem alive. Photosynthesis is a large part of any ecosystem's energy flow and allows plants to thrive. Energy from the Sun, along with carbon dioxide and hydrogen, produce carbohydrates which therefore produce energy. Green plants transform the Sun's energy into carbohydrates, which is ultimately consumed by other organisms found in the Arctic Ocean. Due to the limited amount of information ecologists have on the Arctic Ocean, we can't be sure how climate change is going to affect the stunning and icy ecosystem. However, scientists have noticed significant shifts in its ice cover, the temperatures of the Arctic Ocean, as well as the atmosphere above the water. In the future, these changes could potentially affect the overall ecosystem and its food web. Arctic plankton organisms are found in the Arctic Ocean, drifting in the ocean currents in large groups. Flora and fauna are both considered to be plankton. Phytoplankton is the plant version of plankton, made up on unicellular algae. There are approximately 70 species of phytoplankton that can be found in the Arctic seas. Arctic plankton is imperative to the well being of the ecosystem, serving as a food source for organisms at the bottom of the food chain, such as copepods. Copepods are a type of zooplankton, which oftentimes is microscopic in size. They have six limb pairs located on the thorax. Some copepods can also be parasitic on fish. Zooplankton is a form of fauna, such as eggs, larvae, small animals, gelatinous creatures etc. Plankton serves as a significant food source in the Arctic Ocean's ecosystem. For example, the Great Bowhead Whale depends on the organism for food, specifically during the whales' migrations between their summer spent in the Arctic Ocean, as well as during its overwintering process in the Pacific Ocean. During times of little to no sunlight, plankton stops growing due to the lack of light. Once the Sun returns, marine life and other organisms found in the sea, reawaken and the food chain commences. By the time summer arrives again, plankton and other ocean plants can be found already growing underneath and inside the ice. During this period of light, Arctic Ocean plants kick into overdrive and are constantly using photosynthesis to make food. Approximately 150 new species of seaweed were discovered about 18,000 years ago when the Arctic experienced their last ice age. These new species are capable of living in the low temperatures and the limited amount of sunlight found in the Arctic Ocean. There are many different types of seaweed families, including Furcellaria, Ceratocolax, and Halosacciocolax. All are found in the Arctic and thrive in colder-than-normal conditions. The main purpose of Arctic seaweeds is to serve as the refuge for animals that live underwater. And when low tides are in effect, they also serve as a food source to animals that live on land, such as the Polar Fox. Arctic moss, also known as Calliergon giganteum, is an aquatic plant that can be found underwater and on land in some cases, constantly storing energy to use when it is unable to grow. It grows low to the ground, at a very slow pace. Calliergon giganteum is typically brown in color and has very small leaves with crowded branches. Its rate of growth is very slow. In fact, it only grows approximately one centimeter per year. Despite its slow growth rate though, Arctic moss lives for a very long time �" seven to nine years, to be exact. MLA (Modern Language Association) "Arctic Ocean Plants." ScienceAid, scienceaid.net/Arctic_Ocean_Plants Accessed 20 Apr 2019. Chicago / Turabian ScienceAid.net. "Arctic Ocean Plants." Accessed Apr 20, 2019. https://scienceaid.net/Arctic_Ocean_Plants.